Boy Scout Troop 888 members recently contributed to the Flood Bucket Campaign as a way to do some community service. The buckets, filled with donated cleaning supplies are used in bucket brigades to clean out flooded basements. Last spring, the United Methodist Committee on Relief (UMCOR), had more than 3,000 buckets in its Cortland storehouse. Following the flooding, they were down to 50. 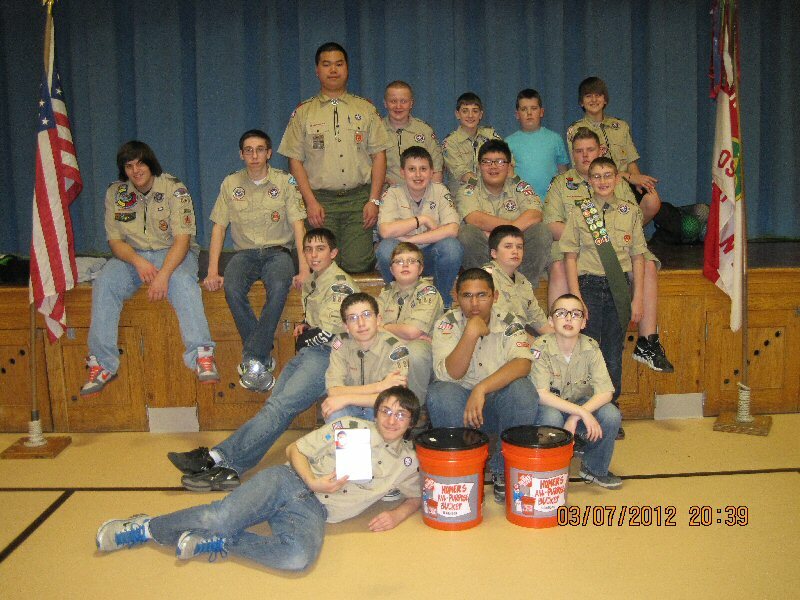 The Scouts brought in enough items to complete two buckets to go to this facility/storage site.